What do virgin eyes see? Title page of Bram Stoker’s Dracula (1897). Picture: MHR/Bookbinder’s Chronicle. 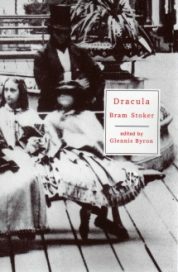 The Broadview edition of Dracula (1998), edited by Glennis Byron. Welcome to the sixth instalment of “Virgin’s View.” Normally, I review a classic vampire film without being exposed to any background information or reviews, hence the term “virgin.” This time I will mix things up a bit and review a book instead; Bram Stoker’s vampire classic Dracula (1897). To ensure I bought an appropriate edition, Anthony put a call out in the The Lord Ruthven Assembly Facebook group on April 2, 2014, asking which edition group members recommended. With feedback, we narrowed it down to two choices; the Broadview edition or the Norton Critical edition. I chose the Broadview edition because it came with some bonus goodies in the back appendix. I started the book last year and put it aside because I wasn’t enjoying it. I found out the Transylvanian Society of Dracula is holding a conference in Dublin this October that I want to attend and Anthony pointed out I couldn’t go to a “Dracula” conference, without reading the book. Background knowledge. 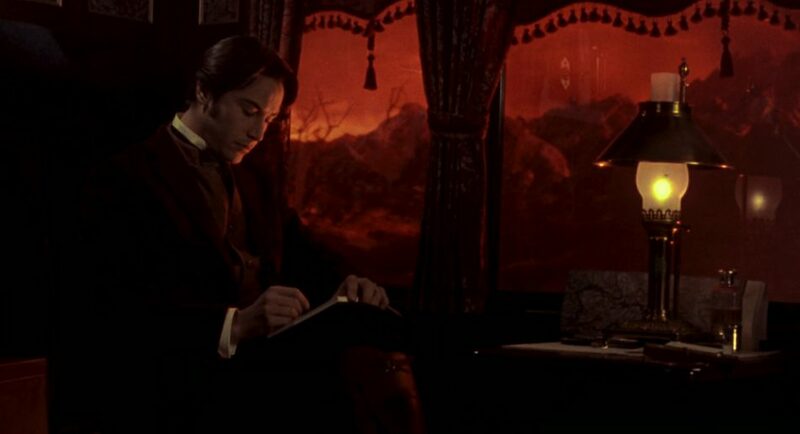 Jonathan Harker (Keanu Reeves) writes diary entries on his way to see Dracula in Bram Stoker’s Dracula (1992). Picture: Columbia Pictures; Screenmusings. I have no prior exposure to this book. My background and knowledge about Dracula is limited to only three films; Bram Stoker’s Dracula (1992), and my Virgin’s View of Dracula (1931) and Horror of Dracula (1958). I originally saw the 1992 film in the theatres when I was younger and only watched it for the second time last month when it came on TV as a refresher. As for the novel, I jumped right into the story and skipped reading the extras; the acknowledgements, introduction, note on the text, brief chronology, and the appendixes at the end. Before you proceed, beware: major spoilers ahead! Brief history. Excerpt from slideshow Dracula: History, Myth and Literature by Regina Randall. Picture: Regina Randall/SlidePlayer. For me this was a hard book to get into. I didn’t enjoy the epistolary format. The entries were done by the main characters; Mina Harker (née Murray), Lucy Westenra, Jonathan Harker, Dr. Abraham Van Helsing, Arthur Holmwood, and Dr. John Seward. The book bounced back and forth from diaries, telegrams, letters, reports, and articles. It seemed like everyone back in that era kept a diary, maybe that was common back then? Stoker covered a seven month period in his novel. The first entry was by Jonathan on May 3 and the final one by Mina on Nov. 6. It took a lot of entries to fill 388 pages and made the story progress too slowly for my liking. Also there were extremely long paragraphs throughout the novel, which I found annoying. I think it’s the first time I have seen single paragraphs extend a couple of pages. I am more used to shorter ones that break down ideas more precisely. I found the dialogue lacking, due to the format. Conversations between characters keep things interesting and give the reader a chance to know them in more depth. Some entries did have dialogue; however, I find it odd that the exact conversations were recorded in a diary. How is that even possible unless you have perfect memory recall? I get the novel was written back in 1897 and language was a little different. I did not have an issue with this. Stoker was a very descriptive and detail oriented writer, which was good, but I found myself skimming to skip ahead and had to stop and go back numerous times. I enjoyed the footnotes included at the bottom of each page, which is my personal preference as opposed to flipping back and forth to the end of the book. I recognized the name and recalled an article written by Trystan Swale on his Highgate Vampire blog discussing Sean Manchester’s many sock puppets. Arminius Vámbéry was one of his preferred choices for his online dealings. “God’s will,” is actually a reoccurring theme that comes up frequently throughout the story, which demonstrates the characters believe an outside force affects their fate. I enjoyed how Stoker used other footnotes to reference real locations. 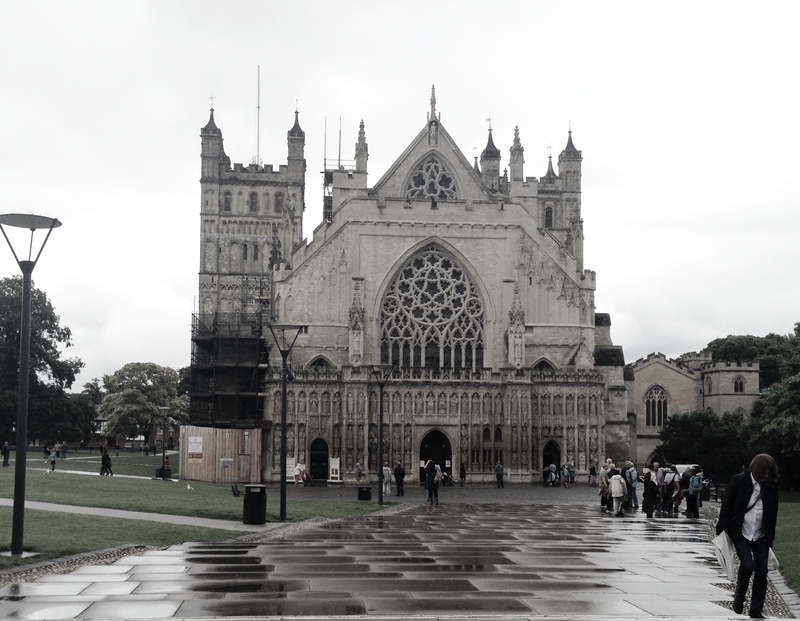 Jonathan left for his journey to Transylvania from Exeter Cathedral Close, a place I know well. I have wondered around here and eaten lunch on the steps many times. Exeter Cathedral Close. Surrounding the cathedral is a variety of shops and cafes (behind the photographer). Taken during my visit there on Sept. 1, 2014. Picture: Erin Chapman. Also Stoker had Mina and Jonathan leave from Exeter Station. I’m not sure about back then, but there are currently three rail stations in Exeter and I have been to all of them. It’s fun to envision characters in a place you are familiar with in real life. Speaking of characters, based on my previous influence of films, I found it strange Stoker portrayed Dracula as what I interpret as an ugly man. Perhaps the concept has morphed over the years as his novel did lay the groundwork. In the film Bram Stoker’s Dracula (1992), Gary Oldman was a picturesque gentleman with flowing locks and foreign accent that would make most women swoon; however, I have to point out he did start as a geriatric wearing what looked like fancy kimonos. As they say, clothes make the man. His fancy Victorian style completed the package. The 1931 and 1958 films portrayed Dracula in a similar way; charismatic, debonair men with good looks. His face was a strong — a very strong — aquiline, with high bridge of the thin nose and peculiarly arched nostrils; with lofty domed forehead, and hair growing scantily round the temples, but profusely elsewhere. His eyebrows were very massive, almost meeting over the nose, and with bushy hair that seemed to curl in its own profusion. The mouth, so far as I could see it under the heavy moustache, was fixed and rather cruel-looking, with peculiarly sharp white teeth; these protruded over the lips, whose remarkable ruddiness showed astonishing vitality in a man of his years. For the rest, his ears were pale and at the tops extremely pointed; the chin was broad and strong, and the cheeks firm though thin. The general effect was one of extraordinary pallor. My brain also compared the Mina from Bram Stoker’s Dracula (1992), Wynona Ryder, to Stoker’s version. In the film, I found this character more flighty, girlish and what I would expect from the time period. Stoker’s Mina was strong-willed and as demonstrated by the lengthy discussions by the other characters, the centre of devotion and unconditional love. The other characters adored her and were willing to risk their lives for her no matter what it took, which is interesting considering some of their relationships were relatively new. If you break down the plot though, it can be simplified as two damsels in distress; Lucy and Mina. Lucy gets sick and they try to save her and then Mina has the same problem. The only difference was Lucy ended up in a box at the end, despite the long drawn out process of staking her in the cemetery. Stoker focused so much attention on setting her soul free. They wouldn’t have been hunting the vampire in the first place, if he hadn’t gone after their women. Perhaps it was his ego, but Dracula could have gone after any female in London. Instead he went after those close to Jonathan. Kind of kicking the hornets nest if you ask me. It was like a miracle; but before our very eyes, and almost in the drawing of a breath, the whole body crumbled into dust and passed from our sight. Two measly paragraphs, that’s it after the entire build up of the novel. Not to mention, Dracula died on the second to last page, which left little room for a finale. I felt like the author was tired, wanted to wrap things up and head out to the pub for a pint. A little gore wouldn’t have hurt or some added suspense. The fair girl went on her knees, and bent over me, fairly gloating. There was a deliberate voluptuousness which was both thrilling and repulsive, and as she arched her neck she actually licked her lips like an animal, till I could see in the moonlight the moisture shining on the scarlet lips and on the red tongue as it lapped the white sharp teeth. Lower and lower went her head as the lips went below the range of my mouth and chin and seemed about to fasten on my throat. Then she paused, and I could hear the churning sound of her tongue as it licked her teeth and lips, and could feel the hot breath on my neck. Then the skin of my throat began to tingle as one’s flesh does when the hand that is to tickle it approaches nearer — nearer. I could feel the soft, shivering touch of the lips on the supersensitive skin of my throat, and the hard dents of two sharp teeth, just touching and pausing there. I closed my eyes in languorous ecstasy and waited — waited with beating heart. Considering this book was published in 1897, I was blown away. I would assume this must have caused a big uproar back in the day, but I don’t exactly make it a habit of reading books this old so I have no point of comparison. One entry I could compare caught my eye. It was an article called the “Hampstead Mystery” (page 214). Based on my research with Anthony on the Highgate Vampire, I instantly thought of the case and the newspaper, the Hampstead and Highgate Express. Stoker’s article mentioned children being led astray and then found later with marks on their necks. Also there was a cemetery near by. The situation sounded similar to victims of the Highgate Vampire and animals in the area that were supposedly attacked and left with marks on their necks. Hell, that case even had an infamous vampire hunter, Sean Manchester, like Van Helsing. What was interesting to see was the use of common vampire tropes back in 1897. I am more familiar with them being used in recent movies or books that have come out since I was a kid. Did some originate with Stoker or did they stem from research he did for his book? No idea at this point. That will take some research on my part after this. A few that caught my attention were Dracula turning into an animal or mist, having fangs, not being able to cross water and being killed by beheading or a stake to the heart. From other readings I understand the stake method was used to pin the corpse to the ground as opposed to the final blow. Some new ones I learned were the whole hypnotic connection that Mina and Dracula had at sunset and sunrise, and sleeping on earth. I had to ask Anthony what the religious deal was with the placing wafers on top of the boxes of earth. I noticed when Jonathan arrived at Dracula’s there was an awkward moment before he entered the castle. Dracula didn’t step over the threshold to greet him, instead waited for Jonathan to enter. I have heard the whole you have to invite a vampire in, but the scene left me wondering about this one. A mysterious part that I cannot figure out is what’s the deal with Renfield. Perhaps I missed something. I understand he was Jonathan’s predecessor and came back from Transylvania in his unwell condition. Sure Jonathan went a little loopy over there as well, but if Dracula did not turn Renfield into a vampire, what did he do to him? Maybe it was the promise to turn him? Why the snacking on bugs and the spiders? I am assuming each time he referenced his “master,” he meant Dracula, but also why kill Renfield in the end? Did he cease to be of use after he told his master to leave Mina alone, demonstrating affection for her? This also leads me to question Dracula’s affection for Mina. After all if he was attempting to turn her into one of his brides and spend eternity together, he must have had the hots for her on some level or was it all spite to Jonathan? I am glad I put in the effort to read this book, as Anthony said it was required reading for what we do. Would I read it again? Probably not. I would recommend it to others for research purposes, but as for the entertainment value, it wasn’t my cup of tea. What does blow my mind is the amount of literature based on Dracula and the number of films done over the years. I am looking forward to read the bonus bits in the back of the novel, perhaps these will appeal to me more than the actual book and answer some of my questions. I know with my Virgin’s Views of the vampire film classics I have barely scratched the surface. I am sure there will be plenty more versions of Dracula’s demise. Seeing where it all started was fun, but for this reader, it is a rare case for me where I would say the original is not always the best. 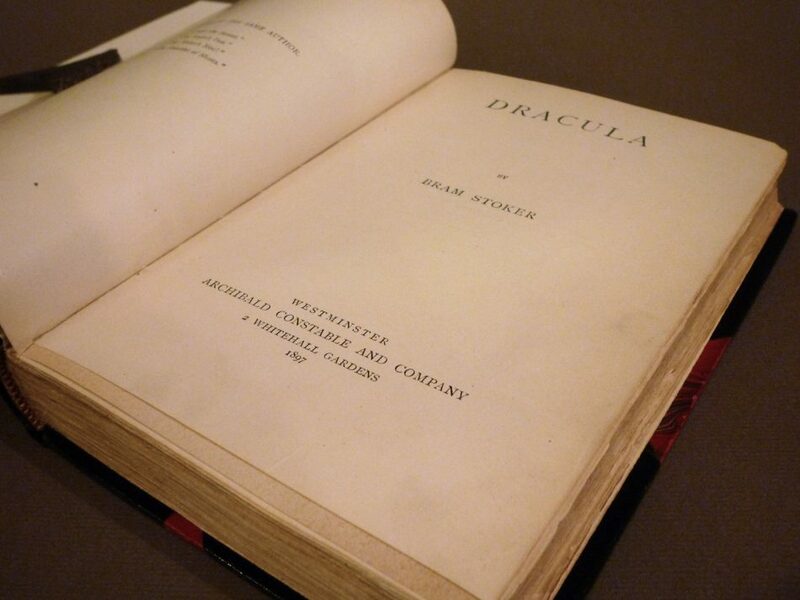 Was the book ahead of it’s time and did it set a precedence for vampires? For sure. The genre owes a great deal to Stoker as he set the stage for authors and film makers to come; however, the fans determine its success. a call out in The Lord Ruthven Assembly Facebook group: Anthony Hogg, post on The Lord Ruthven Assembly Facebook group, April 2, 2014, accessed April 24, 2016, https://www.facebook.com/groups/lordruthvenassembly/permalink/10152032907827607/. “you’ve popped your Dracula cherry! lol”: Anthony Hogg, Facebook message to the author, April 6, 2016. Dracula: Erin Chapman, “A Virgin’s View on ‘Dracula’ (1931),” Vamped, May 26, 2015, accessed April 24, 2016, http://vamped.org/2015/05/26/a-virgins-view-on-dracula-1931/. Horror of Dracula: Erin Chapman, “A Virgin’s View on ‘Horror of Dracula,’” Vamped, July 29, 2015, accessed April 24, 2016, http://vamped.org/2015/07/29/a-virgins-view-on-horror-of-dracula/. recalled an article written by Trystan Swale: admin [Trystan Swale], “Effective Sock Puppetry 101,” The Highgate Vampire (blog), July 8, 2015, accessed April 12, 2016, http://thehighgatevampire.co.uk/index.php/2015/07/08/effective-sock-puppetry-101/. archive.is link: https://archive.is/JqDJj. I started reading the it back in 2014: Erin Chapman, “A Biblical Marathon,” Erin Chapman (blog), Feb. 28, 2014, accessed on April 12, 2016, http://erinchapman.ca/bible-reviews/bible-marathon-discoveries/. archive.is link: https://archive.is/Di9sM. 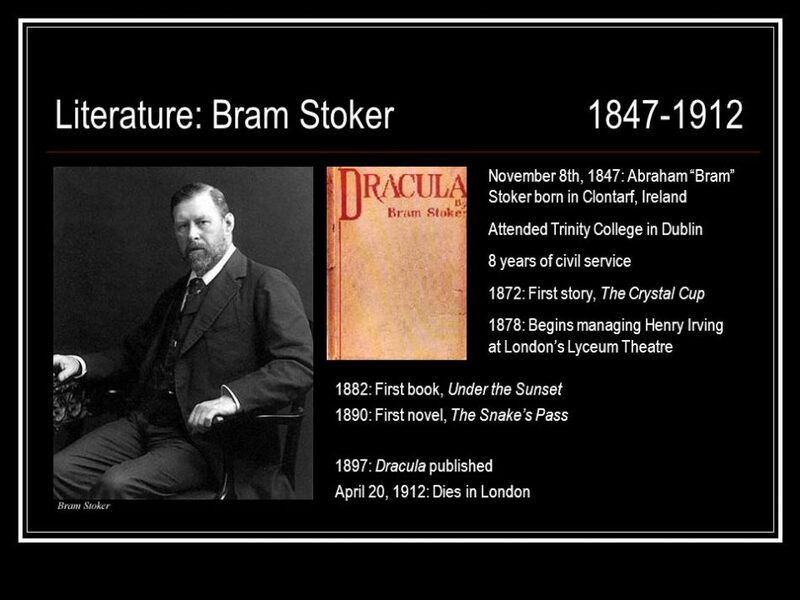 I found Stoker’s take a little different: Bram Stoker, Dracula, ed. Glennis Byron (1897; 1998; repr., Peterborough, Canada: Broadview Editions, 2000), 48. Citations refer to the Broadview edition. “But, on the instant, came the sweep and flash of Jonathan’s great knife”: Ibid., 417–18. “The fair girl went on her knees”: Ibid., 69–70. my research with Anthony on the Highgate Vampire: Erin Chapman, “5 Reasons a Wampyr Didn’t Walk in Highgate Cemetery,” Vamped, Feb. 27, 2015, accessed April 23, 2016, http://vamped.org/2015/02/27/5-reasons-why-a-wampyr-didnt-walk-in-highgate-cemetery/. Previous article Why We’ve Been Offline: Welcome to the New, Improved Vamped! Erin – one comment I have to make is that Stoker does not suggest that Renfield was Harker’s predecessor. That comes from movies (it can be easy to conflate, especially when you are not enjoying the book). Renfield is never explained, indeed Seward knows little about him, and is generally seen as a psychic barometer of the vampire – his activity increases whenever the vampire is near. In other words he is a plot device. Thanks Andy! Have you read the book by Lucas? Also do you know of any notes or anything from Stoker that address this character at all? Erin, Stoker’s notes are available but he says very little about Renfield – indeed for much of the notes he doesn’t even have a name and is called Fly Man or Fly Patient. There’s also an interesting take on the character in the Renfield : Tale of madness comic book (I see in your review of it, Andy, that you find it less successful than the Tin Lucas book). Remembering my first reading of Dracula, it was one of the most attractive book I read when I was an teenager, and still reading it again with a great pleasure. In fact I was already used to read XIXth century’s book, due to my litterature studies. And I still find more pleasure reading old novels on the subjet than newer ones. But for me, one of the reason of the many existing adaptation of the book is that it seems having been made to be adapted : the many point of view, the archetypic characters, etc. But if you really want to have a real panorama of the first apparition of vampires in litterature (and pop culture), you must’nt focus only on english books or novels. Carmilla, The Vampire and Dracula are important milestones in vampire fiction litterature, but La morte amoureuse from Théophile Gauthier, Le Horla from Maupassant, Infernaliana from Charles Nodier, La baronne trépassée from Ponson du terrail, Là-bas from Huysmans, La vampire et La ville vampire de Féval are also not to be missed books and short stories for someone who want to have a wide idea of the vampire starting in litterature. I have to admit I am not one for comics. Never actually read any. When you read Dracula originally was it in English or French? I know we discussed reading books before and that you mentioned you are reading more in English. My first question would be, are those books available in English? As for comics, after reading Andy Miller’s, A Year of Reading Dangerously, in which the author aims to read 50 books in a set period of time, one of these is a comic! Following this read I began to approach books I wouldn’t normally read and this too included a comic – Marvel’s, The Death of Dracula, of course. I had never read a ‘proper’ comic before this one and I also prefer the more historical, 18, 19 century vampire works but this I thoroughly enjoyed. Well worth a try as the new vampire angle opens the mind. I think my biggest problem with the graphic novel was the way it crowbarred things such as having Seward use Renfield to inspect the Demeter. Also the original novel changes (moving the action solely to Whitby for instance). Whilst an author can re-imagine, this to me was not enhancing the original, which Lucas did. re the 19th century material you mention – absolutely, there was a whole plethora of vampire material that is now overlooked by many and is absolutely fascinating. In order to make an article dealing with the way the novel has been translated.